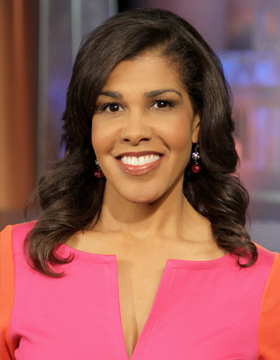 Kellye Lynn is an award-winning journalist who serves as an education reporter at WJLA-TV/NewsChannel 8 and anchors the weekend morning newscasts. Since joining the station in 2013, Kellye has won two Emmy Awards as an anchor for Outstanding Newscast and Outstanding Continuing Coverage. She also helped WJLA earn an Edward R. Murrow Award for coverage of the Baltimore Riots. Kellye has been behind the anchor desk during the unfolding of numerous significant stories including Pope Francis’ first visit to America, the death of former First Lady Nancy Reagan, and the Orlando nightclub shootings. The Silver Spring, Maryland native, who is known for her ability to connect with viewers in a warm and engaging way, majored in broadcast journalism at Howard University in Washington, D.C. where she earned a Bachelor of Arts degree. In her spare time, Kellye enjoys exercising, spending time outdoors and traveling with her husband and two children.